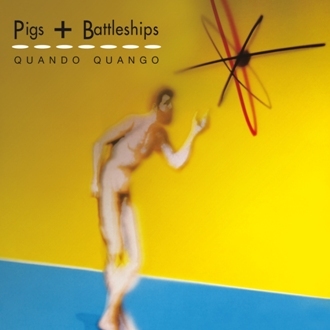 Factory Benelux presents a remastered edition of Pigs + Battleships, the quirky electronic dance album by Quando Quango originally released on Factory Records in November 1985. Produced by legendary New York mixmaster Mark Kamins, the album includes the infectious club singles Love Tempo and Genius, both Hacienda classics and firm favourites of deejays from Larry Levan to Andrew Weatherall to Felix Da Housecat. Bonus tracks include manic cut-up Genius Pt 2, previously available only on Pow Wow in the States, and all four tracks from Quando's punchy 1984 BBC radio session for David Jensen, which includes the definitive version of Atom Rock as well as Swampland, a song never recorded elsewhere. Quando Quango were Mike Pickering, Gonnie Rietveld, Simon Topping and Barry Johnson. Guest musicians include Andy Connell, Vini Reilly, Donald Johnson and Beverly McDonald. Post Quango, Mike Pickering and Simon Topping went on to form British House music pioneers T-Coy, and later M People. Available on CD and digital download. CD copies ordered direct are delivered in special FBN slipcase. To order CD simply select correct shipping option and click on Add To Cart button below cover image, or else contact FBN by email. Quando Quango always had a palpable intensity, leaving little shockwaves in the lives of its members, and in some of the people who listened to its music. The musicians embraced by it, their relationships with the music they dearly loved and with each other, all left an indelible imprint on the recordings that were the outcome of that edgy energy. Encountered by chance, on an island in the North Sea, their connections were tenable for a short term only, terribly fragile and held together by a youthful courage, a collision of worlds that temporarily merged and then bounced off again in opposite directions. Hailed in the Netherlands in 1981 as "dancing on the edge of a volcano" and vilified by a UK indie-journo in 1985 as being too eclectic, Quando Quango's twisted electronic music experiments lasted a good six years, spawning an album and several bouncy dance 12" releases. For me, as composing programmer, it was a case of Fela Kuti meets Kraftwerk somewhere between Manchester and Rotterdam, part of a new wave of post-punk electronica, with a whole lot of Mike Pickering's admirably broad knowledge of soul, disco, reggae and pop to stuff the gaps. Enough to keep us busy making new hybrids and to leave us pondering about the purpose of a vanguard in popular music. Most significant to dance music fans were the insistent bass syncopations of Love Tempo, the seemingly timeless party atmosphere of Genius and the thunderous boogie of Atom Rock, as well as Tingle with its Quando dance manifesto and Go Exciting, a pastiche of Fela basslines with Latino flava lyrics, which reportedly touched the hearts of Latino clubbers in New York. This retrospective CD displays a rampant eclecticism indeed, but in a healthy refreshing way. It shows vague visions of future music, based on a curious musical cross-section of all that, to us, was interesting in the early 1980s. The backgrounds of co-members, who travelled and recorded with us, also demonstrated the variety of Quando Quango's approaches. Barry Johnson fitted his bass work with us between Sweet Sensation, The Twelfth Tribe of Israel and, later, reggae giants Aswad. Percussionist Simon Topping joined us in-between A Certain Ratio (ACR), Salsa percussion classes in New York and, later, his Latino-flavoured house outfit T-Coy. First drummer Reinier Rietveld was simultaneously part of Dutch cult band Spasmodique. Later drummer Adam Ryan-Carter became a successful songwriter for several pop acts. And, not least, we had some great help on bass, guitar and percussion from two other talented Johnson brothers, Donald (ACR) and Derek (52nd Street). Talented creative photographer Alan David-Tu provided our graphic image, while rock photographer Kevin Cummins recorded many of our portraits. Additional collaborations were not only a source of creative fun, but also quite an honour. 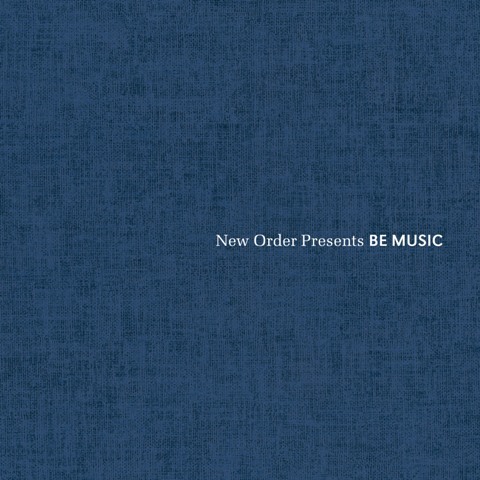 New Order's Bernard Sumner was a major influence, not least for advising me to buy that Roland 808 drumbox way back in 1982 and who, with Donald Johnson (aka DoJo) put his stamp on earlier productions (See: Cool As Ice: The Be Music Productions CD). Studio encounters with an extended musical family were plentiful, for example, Johnny Marr (The Smiths), Vini Reilly (The Durutti Column) and Andy Connell (ACR and Swing Out Sister). Beverly McDonald (52nd Street's first diva) added her sweet singing voice to album track This Feeling. Then there were the psychedelic Haçienda based hairdressers who cheered us up, especially on Genius. And, of course, big Mark Kamins first remixed Love Tempo and Atom Rock and then produced our album, recording it in Manchester and taking it to Arthur Baker's studio in New York for post-production. 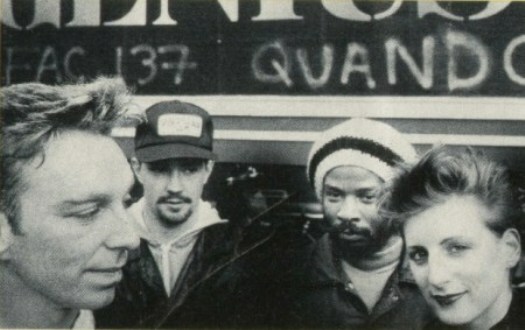 Even Lisa Stansfield and her 'A-Team' enthusiastically joined the jam, the latter making significant brass contributions to our album Pigs + Battleships, and Lisa leaving her voice on a couple of late 1986 demos, Bad Blood and Vision of America (with Adam on drums), showing a move towards a smoother MoR trajectory, away from our bolshy synth sound. We had gained professional management, who would later establish dance label Deconstruction and the band M-People. In that same, final, session, drummer Stephen Morris (New Order) laid down haunting synth-percussion (reminiscent of Joy Division's Atrocity Exhibition) on Quando's funeral track What Price Beauty, which later resurfaced with M-People as Kiss It Better. This little Anglo-Dutch electro dance outfit started out in Rotterdam, my initial home, in a memorable circumstance that made our later demise look like a mirrored event, like we had come full circle. In 1980, a Sheffield based electronic trio called Vice Versa were invited over to Rotterdam to record an ep for Backstreet Records. During that session, Mike's friend Martin Fry found his voice, Mark White decided to swap his synth for guitar and the idea for pop band ABC germinated from there. During that same session, Mike and I warmed to the idea of making musical sounds with synths and so we invested in some early monophonic equipment. Mike learned sax and I, temporarily, followed suit. My brother, Reinier, generously helped out with meticulous drums during our performances in those first couple of years. We put unheard-of synth pulses to tape and started banging on timbales. We added the sound of a primitive handmade drum box. Our mode of transport was my mum's overloaded 2CV. We were terrible, yet exciting, and the Rotterdam art crowd loved it. In May 1982, Quando was transposed from the Dutch world harbour city to post-industrial Manchester. It was Mike's home town where he had a network of contacts and friends. His football 'n' music buddy, the late Rob Gretton, manager of New Order and a partner in Factory Records, wished to set up The Haçienda night club. Rob envisaged a club like he'd seen in New York, run by and for music lovers. 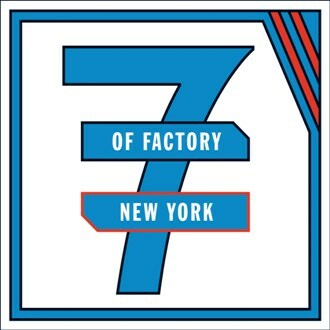 Something comparable to the Paradise Garage, except for the sound system, as we realised later, when we were in New York in 1983. Mike was invited to give creative direction to the new Mancunian venue. He had already organised the first ever gig on the continent by New Order, after Joy Division's dramatic demise, in addition to performances by other Factory artists in a legally squatted warehouse, Hal 4, in Rotterdam. Rob also genuinely enjoyed demos of Quando's early experimental efforts and supported our material like a guardian angel. In the same year that The Haçienda opened, 1982, we debuted on Factory Records with a double sided 12" EP featuring Go Exciting and Tingle, both underpinned by Reinier's drums. Love Tempo was recorded in 1983, and was a small success in clubland, from Ibiza to New York - it even appeared in Brazil. Atom Rock and Triangle were released as an ep in 1984, with Johnny Marr on guitar and Simon Topping on percussion. In 1985 we finally released our album, Pigs + Battleships, featuring party classic Genius, which was also released as a 12". The following year Bad Blood was scheduled for release but was aborted. Our creative effort, which at times felt like an unnatural yet worthwhile uphill struggle into the unknown, spanned the six year life cycle of Quando Quango. We gave our souls, our lives, our passion, our imaginative conceptions, our quirky contributions, towards a (dance) music that was still in the process of becoming. This was our zero hour. In retrospect, our experiences with Quando were formative to our own and to dance music's developments. In our uniquely different ways, Mike and I were each depy involved in the development of what was to become house music. Mike entered an explosive house DJ career, which started at the influential Haçienda club. After his involvement with T-Coy, he swapped spinning house for making pop, appearing on Top of the Pops, and succeeding way beyond, with his outfit M-People. I pursued a career as an academic, specialising in media and cultural studies and publishing in the field of dance culture, including a study of house music. 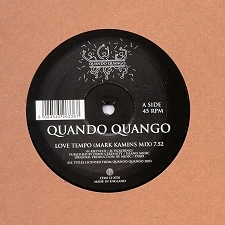 The latter led in 1992 to recording Holding Out in Chicago, as Search, with seminal house music producer Vince Lawrence, who turned out to be a real fan of Quando's Love Tempo. It was really during that American trip that I discovered, much to my shocked surprise, the impact our music had made in influential underground dance circles in Chicago and New York during the 1980s, and how this connected back to musical developments in Europe. Entering the 21st century, tiny clusters of Quando fans keep cropping up in both house and electro circles. It is a humbling yet thoroughly pleasing thought to realise that Quando Quango played a small part in something so much bigger than ourselves.